Franchise Gator Congratulates Smoothie King on Being Named One of the Top 100 Franchises. Smoothie King Franchises, Inc. is a privately held, New Orleans-area-based franchise company with more than 850 units worldwide. By creating each smoothie with a purpose, Smoothie King makes it simple and pleasurable for guests to achieve their individual health goals. We also offer a number of better-for-you retail products, including sports beverages, energy bars, vitamin supplements and more. Steve Kuhnau founded Smoothie King in 1973 and Smoothie King became the first franchised smoothie bar/health food store in the U.S. in 1989. Smoothie King currently operates in 33 states, the Caymans, and the Republic of Korea, Trinidad and Dubai. 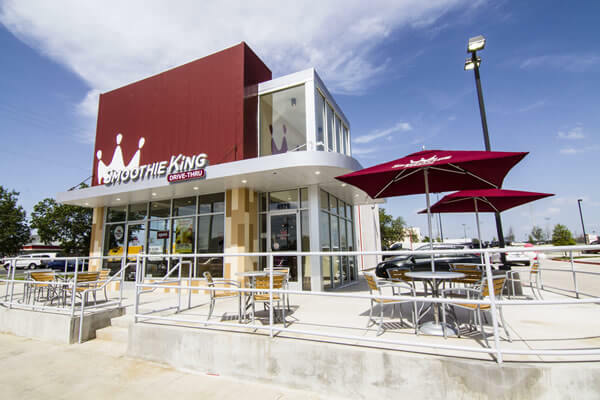 Smoothie King gives franchisees a chance to inspire people to live healthier, more active lifestyles while also providing a fantastic business opportunity. The best way to be the leading franchise brand in the smoothie/juice bar segment starts with relentless support of your franchisees. From the moment new franchisees sign their franchise agreement they become a part of the Smoothie King family. Our processes, team members and resources are aligned to deliver the education, motivation and support to successfully launch a new Smoothie King and continues for the life of the business. 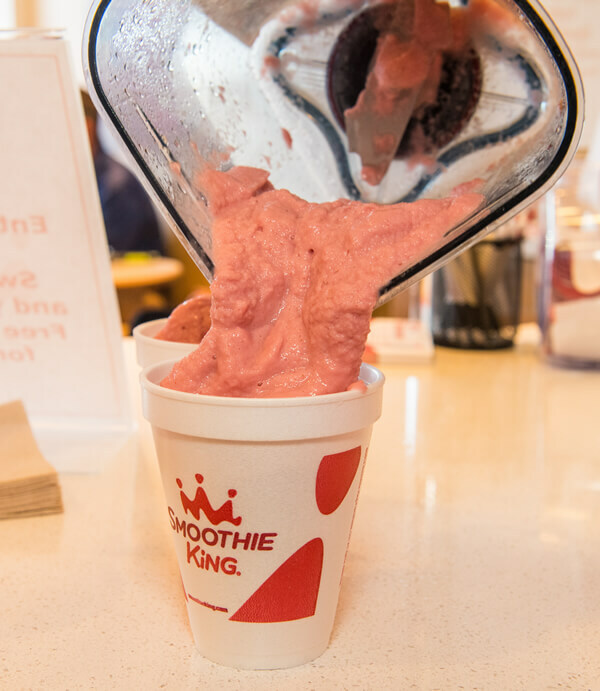 The Smoothie King brand is committed to the highest product quality and constant innovation, which has paid off with nearly 10 percent same-store sales growth in 2015. 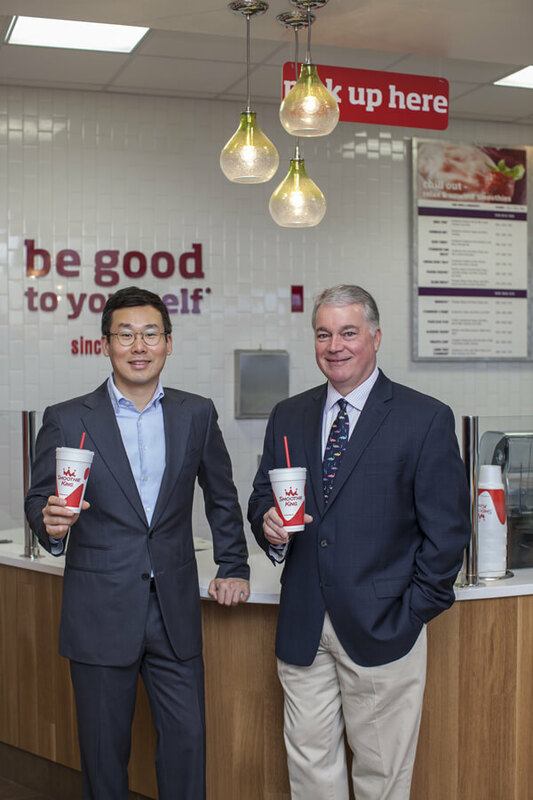 Entrepreneur magazine’s Franchise 500 has also recognized Smoothie King as No. 1 in its category for 23 years. The brand has grown consistently for 44 years, translating to 850 plus locations around the world. Also, Smoothie King partnered with the NBA’s New Orleans Pelicans in 2014 to rebrand their New Orleans, Louisiana based home as the Smoothie King Center. Smoothie King is currently accepting inquiries from the following states: Alabama, Alaska, Arizona, Arkansas, California, Colorado, Connecticut, Delaware, Florida, Georgia, Hawaii, Idaho, Illinois, Indiana, Iowa, Kansas, Kentucky, Louisiana, Maine, Maryland, Massachusetts, Michigan, Minnesota, Mississippi, Missouri, Montana, Nebraska, Nevada, New Hampshire, New Jersey, New Mexico, New York, North Carolina, North Dakota, Ohio, Oklahoma, Oregon, Pennsylvania, Rhode Island, South Carolina, South Dakota, Tennessee, Texas, Utah, Vermont, Virginia, Washington, Washington, D.C., West Virginia, Wisconsin, Wyoming.